It was only a month ago when I commented on Germany’s discovery of flavoured crisps (or chips for any US readers dropping in), and already the Germans are amazing me with their inventiveness. 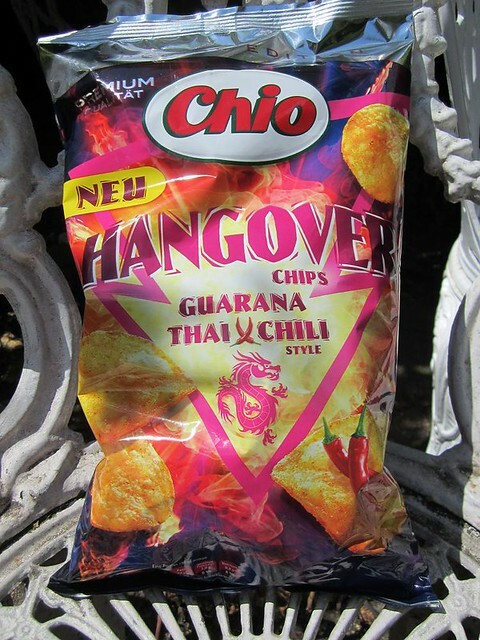 Following hard on the heels of the Currywurst crisp, Germany would now like to present you with the very latest in snack flavourings… ladies and gentlement, a big hand for the Hangover Crisp! Do they cause or cure a hangover? The small print does not explain…. Perhaps you’re supposed to eat them when you have a hangover to speed up the purging process. Oh dear… you mean they taste of stale beer and vomit?